Does it ever seem like Monday mornings come before you can say "lazy Sunday" and then without even noticing, you're midway through it? What a busy morning I'm having! I'm hoping that everyone had a wonderful weekend. As my to-do list right now is rather stacked, I just wanted to take note of my favorite weekend find. I don't have too many rings. Mainly because I believe I have quite fat fingers - this conclusion made after noticing that my fingers tend to swell around rings, even after they're supposedly "sized". After a few hours, my attempt at either the refined elegance of Princess Diana-inspired or the ghetto fabulousness Lil' Wayne-inspired (some nights just call for one or the other) finger bling ends up looking like a summer sausage with a child's hair elastic around it. However, despite this grotesque situation- I do have a few rings: Some which probably cost less than a dinner that I wear for fun when headed to a flouncy bar or club and then a few nice ones with actual diamonds that I received from my parents (both the nuclear & the grand type) and I have been trying to find a pretty place to store them. I almost started cracking up when I started this quest for a ringholder. Why? Because, well - let me show you what the options mainly were. Without going into too much graphic detail on my poor innocent blog - just looking at the ringholders available made me want to start saying "That's what she said!". I didn't like the glass surrounding but I also didn't appreciate the highly phallic symbol protruding from the middle. Nuff said - ick. I already threw a few bracelets on it and the rings I could immediately find but I really love it. 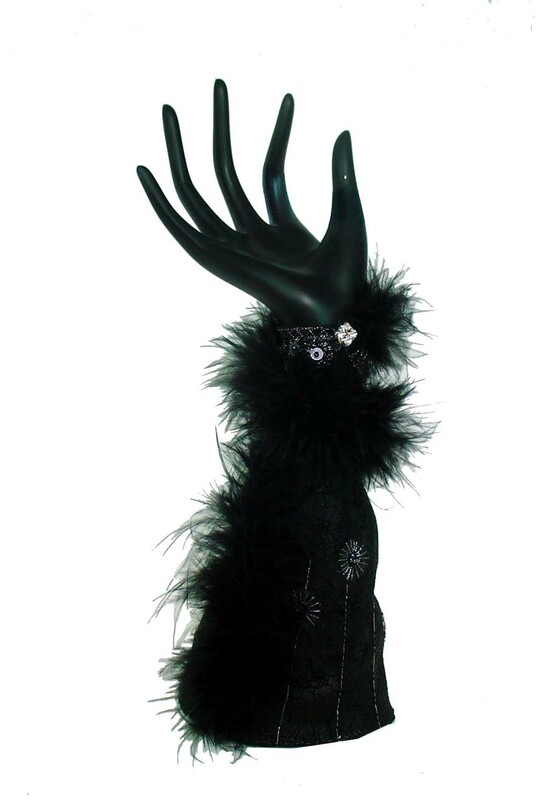 I love the elongated fingers and it's fun to adorn it with your jewelery. I think it's the sweetest alternative to the other options which look like they are sold out of a dimly-lit store in the bad part of town... knowwhatI'msaying???? And where to find neat jewelery holders like the one I purchased? Boutiques, boutiques, boutiques!!! And with that said, I must go on with my busy morning. 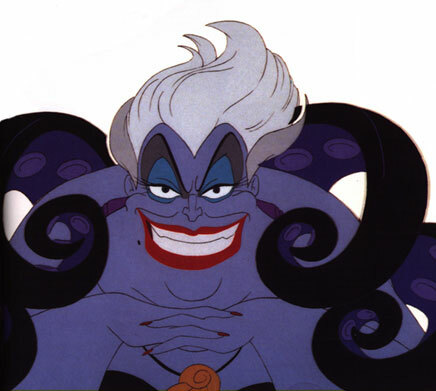 I did search hand ringholders though and found a few other ones - though pretty tacky and I probably wouldn't use, were fun to look at and reminded me of Disney characters- mainly Ursula and Cruella Deville (respectfully). great post! omg, the first one cracked me up, too! yikes haha i love ur jewelry corner! looks just like a fancy boutique:) hand towel rack?? ingenious, caitlin!! :) also, loving the ring holder. i'm so glad i read ur post today because just last week, i was contemplating how to organize my jewelry, too. i saw a few organizers that were adorable, but the price tag...not so much:P thanks for sharing ur tips! p.s. i finally saw new moon last night lol i liked the movie, but i think i like the first one much better:) although, i loved the dynamics between bella and jacob. what a sweet guy! love edward, but is it just me...or does kristen have more on screen chemistry with taylor rather than robert? Ha ha (i'm giggling)! I love your description of your fingers!!! Thanks for coming to my tea party! 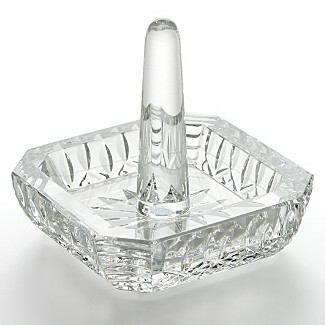 I used to have so many of those crystal ring holders when I was little! so funny to remember! Very cute. Was that in there when I was in there yesterday? I didn't notice it. Looks cute! that's a great idea for necklaces and bracelets! 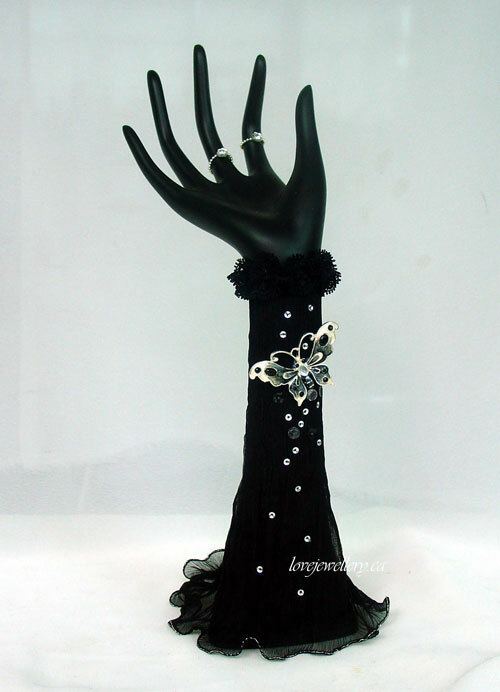 and your ring holder/ hand thing looks great! the other ones are giving me a creepy feeling like the ones that are about to come to life. i have chubby fingers too! more like chubby and wrinkly knuckles. it's HORRID! but i do enjoy rings and will not fear them despite the lack in lean fingers. having said that, i think you're new "hand" is awesome. looks fabulous next to your jewelry display! You ring holder looks special.I just bought one similar one for present...actually I am gonna pack it tomorrow in to my suitcase....gonna bring it to Norway. I love rings,but since Sean born ,I don't wear them so much. OK, I think I just peed in my pants a little! TOO funny about the phallic symbol! I've always thought the same thing - ick! LOVING the towel holder as a necklace rack! TOTALLY stealing that idea! Found your blog from 504 Main - congrats on the award! 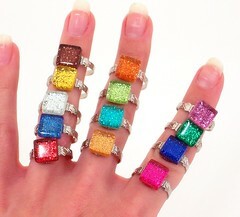 I never thought about what a ring holder really looked like until I saw it on your blog....Thanks...I will never be able to look at one again without a little (evil) chuckle. I love your idea of using a towel holder for the necklaces...very clever! You have a lovely blog, (my first visit) I scrolled down and I love your pics. I also like your style, white water rafting sounds like fun. I love my rings and have a few ring holders like the photographs except I have so many they get weighted down and can't stand up straight! ohgosh!! I love jewelry!! Can NEVER have enough!! hehe love it all!! hope you are having a fabulous day!! when I clicked to see what's new on your blog, I almost cracked-up, too :) your ringholder is the best one! Loving the orange, I love love orange. Cute rings. I love them!! Now that is something I could use. I'm terrible with my jewelry. I leave it lying around everywhere. So bad. Those hand ring holders are cool! A little creepy looking, but still cool! Great blog btw.